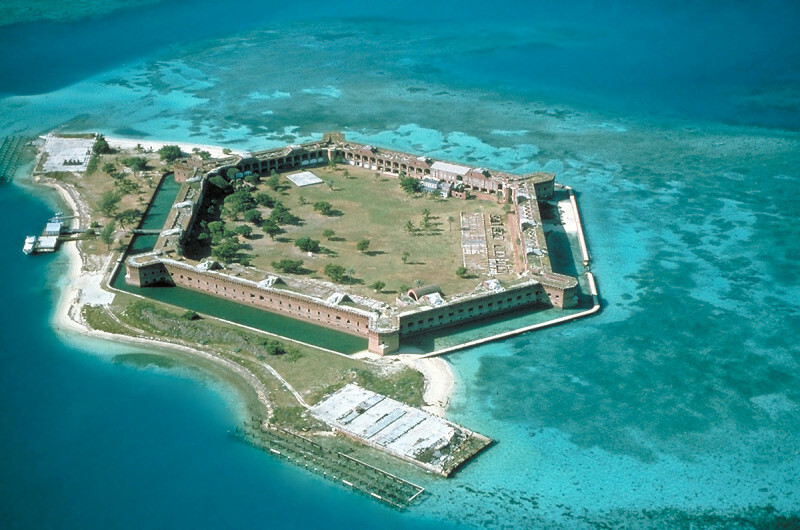 Things to do and see at Fort Jefferson and Dry Tortugas National Park in the Florida Keys. In season one, we got a chance to shoot an episode in the Florida Keys. It was very exciting, and the Keys are loaded with history. 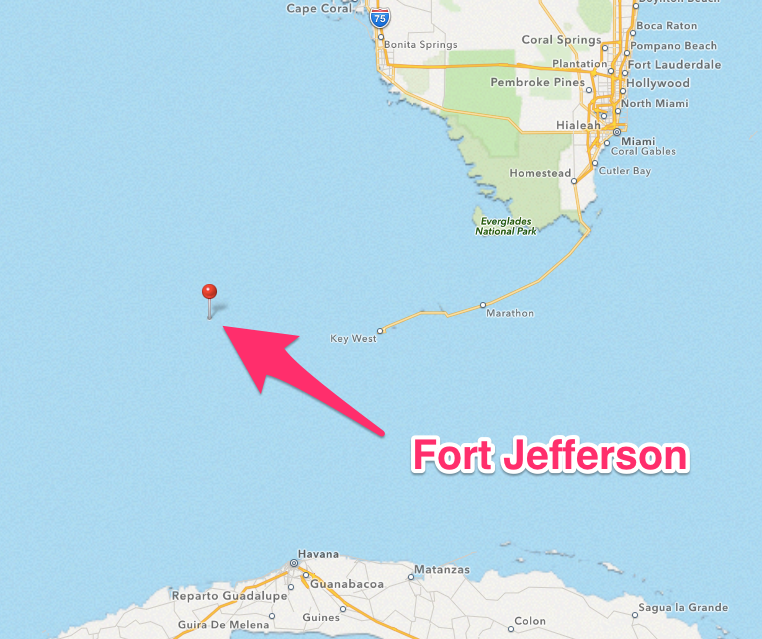 This segment focussed on the Dry Tortugas chain of islands and Fort Jefferson. Fort Jefferson is amazing to behold. It was commissioned by Thomas Jefferson as a result of the War of 1812 to secure up defenses in the Gulf of Mexico as well as provide a good location for ships to resupply and anchor in rough seas. It’s located in one of America’s busiest shipping lanes, thus making the fort an important asset. Ships could easily avoid the guns of the fort, but they could not avoid the ships stationed in the harbor. If you think about it, it was used like an 1800’s aircraft carrier or forward operating base out at sea. The fort is the largest masonry structure in the Americas. It took 30 years to build the fort and it was never finished or fully armed. It never saw any action, but it is a remarkable structure. Fort Jefferson’s most famous inhabitant was Dr. Samuel Mudd, who was charged and convicted with conspiracy to murder the President. What we know is that Mudd helped set John Wilkes Booth’s broken leg when he arrived at his home at 4am one night after the murder. What we don’t know for sure is whether Mudd was really involved with a plan to assist Booth’s escape or if it’s all just circumstance. The ambiguity of the situation, which you can read about here, led to Mudd escaping the death penalty by one vote, and being sent to Fort Jefferson, which was converted to a prison by this point. 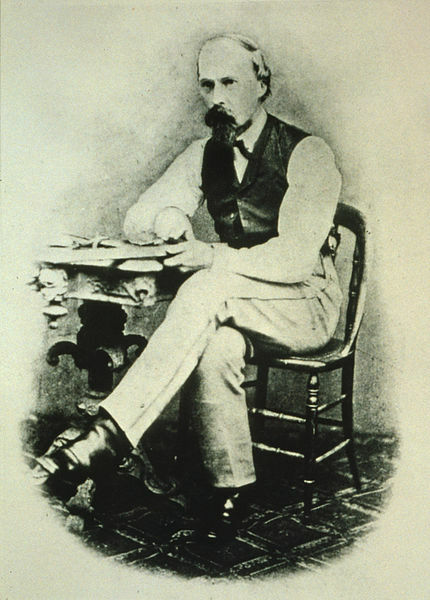 Dr. Samuel Mudd’s picture taken at Fort Jefferson in the carpentry shop. President Johnson pardoned Dr. Mudd in 1869, and the Doctor went on to a life of politics and farming. His family lost its battle to clear his name in 2003 when the Supreme Court refused to hear the case. There are a few ways to visit the islands 70 miles west of Key West. You can go by sea plane or by boat. When we went, we took the Yankee Freedom, a catamaran that took about 2 hours. You can even camp and stay the night under the stars near the Fort. I’m not much of a camper, but this looks awesome. You can also snorkel while you’re there. There’s a moat wall around the fort that stops the waters from wrecking the structure, but over time, parts of the Fort are being reclaimed by the sea. For more information on a day trip to the Dry Tortugas and Fort Jefferson visit www.fla-keys.com and www.drytortugas.com. The Dry Tortugas is the most remote US Fort.